A committee convened by the Maine Department of Public Safety says it doesn’t believe that Maine needs to set a limit for determining whether a motorist is impaired by marijuana. The recommendation is likely to stir debate among law enforcement officials and legislators as implementation of the voter-approved recreational marijuana law plods forward.Committee chair Scot Maddox said the state need not alter its operating under the influence law or create new blood-level limits for THC, the psychoactive component in marijuana. Instead, he said lawmakers should provide additional funding to train police officers, prosecutors and even judges to recognize marijuana impairment and its dangers while driving. He said there should also be a robust public education campaign.Sen. Mark Dion, a Portland Democrat and former police officer, said he’s surprised by the recommendation, as blood level tests for alcohol play a key role in OUI arrests and convictions.“If you blow a 1.5 on the breath test, it kind of validates the officer’s conclusions that you’re impaired, and there’s a lot of weight placed on that breath test. If someone is arrested for cannabis influence impairment, all we have is the confirmation that cannabis is present. And it doesn’t necessarily validate the observations of the officer,” he said.But Maddox, speaking before the Legislature’s Marijuana Legalization Implementation Committee, said Maine’s current impairment law is sufficient — at least for now.“The basis of under the influence is irrelevant as far as the law is concerned. Whether you’re impaired because you’re drinking alcohol or whether you’re impaired because you’re taking prescription medications, or you’re impaired because you’re smoking marijuana, the difference is none, as far as the law is concerned,” Maddox said.He said that officers trained to identify marijuana impairment can still make an arrest and use a blood test to bolster their case for a conviction.Last year a bill that would have set a THC limit failed in the Legislature because there was disagreement over what would be an appropriate limit to determine impairment.The issue has dogged the more than two dozen states that have legalized marijuana for recreational or medicinal purposes — or in Maine’s case, both. According to the National Conference of State Legislatures, nearly 20 states have set limits on THC in the bloodstream while operating a vehicle.A number of studies have found that marijuana degrades a person’s ability to drive, but research on whether it causes accidents has been mixed. The same goes for studies determining the appropriate level of THC to determine driving impairment, in part because THC has been found to affect people differently. CINCINNATI, OH (FOX19) -The aggravated murder case against a teenage mother accused of killing and burying her own newborn infant in her backyard is exploding on social media.Some people already calling Brooke “Skylar” Richardson, 18, the next Casey Anthony, saying she is being treated too well by the justice system. A Warren County judge issued a gag order Thursday after Warren County Prosecutor David Fornshell confirmed what we knew two weeks ago: the baby was, in fact, a girl.There’s a growing movement on Facebook to fight for justice for that baby girl lost.Supporters of that movement are calling her “Baby Carlisle,” though Fornshell says court officials now refer to her as “Baby Jane Doe”.They’re planning to be vocal, to picket and protest.Some people tell us they’re worried. They are urging pushing for others to write the prosecutor and the judge so that fragile life was not lost in vain.Social media is exploding, and people are paying attention to the numbers and to other cases, saying Richardson is already getting preferential treatment, starting with a low bond and home confinement.”I think it was a kick in Fornshell’s face,” one woman told us. “When he asked for a million dollar bond and she got out on $50,000.””I literally have nightmares every night,” the woman told us, in somewhat graphic detail. “All I can do is pray, because the only person that matters in this whole case, is that precious baby girl.””The Kinsley Kinnard case, I want to say the mother of that case was $250,000, the boyfriend was $1 million. You just had the Franklin lawyer case, I believe it was burglary, he had a $100,000 bond,” another man told us. But keeping her baby, Fornshell said in a news conference last week, was never an option.”That was something that was simply not going to be accepted in that household, at least by Skylar and her mother,” said Fornshell.The baby girl he said, was murdered, then burned in the family fire pit and buried in the back yard, gory details, which are tearing people in the county apart.”But we have all these people, because she’s a blond, pretty cheerleader, with mommy and daddy’s money, oh poor, poor pitiful Brooke, she was just afraid of her mom. No!,” the woman was emphatic. “She was an adult!”A group is planning to picket and protest outside Skylar’s next pre-trial hearing, calling for justice for Baby Jane Doe.They said, with a gag order in place, it’s time for the community now, to be the voice for that little baby girl.We did some extensive background searching on the family, and here’s what we’ve found out so far:The teen’s father, Scott Richardson, has no criminal history aside from traffic violations and an OVI back in 2005.He was, however, briefly a member of the Carlisle Village Council in 2011, winning a seat vacated by another council member.This was disputed by rival Terry Johnson and after the Ohio Supreme Court heard the case, Richardson had to step down.http://cases.justia.com/ohio/supreme-court-of-ohio/2011-1464.pdf?ts=1396139781http://www.akronlegalnews.com/editorial/2729As for the teen’s mother, Kim Richardson, who was seen in her daughter’s second court appearance wearing sunglasses in court, a search of her background provided no criminal information.Their daughter faces life in prison.She is charged with aggravated murder, involuntary manslaughter, gross abuse of a corpse,tampering with evidence and child endangering.She was a pretty and popular cheerleader now accused of a hideous crime, killing, burning & burying her baby in the backyard.She has no criminal past and with no means beyond her family, is why some suspect the judge let her out on a $50,000 bond.And by all accounts, this family concerned about keeping up appearances, has a mountain of legal obstacles ahead.“Skylar and her family, particularly her mother, we pretty obsessed with external appearances and how things appeared to the outside world,” Fornshell said. Carlos Fierro, who spent more than three years in prison for killing a Santa Fe pedestrian with his car after a night of heavy drinking, on Tuesday received a suspended jail sentence and probation for his arrest last year on a drunken-driving charge. No one was injured in the latest incident, but Fierro in 2008 had failed to stop after his car mowed down 46-year-old William Tenorio on Guadalupe Street after Fierro had been drinking in bars with a state police officer who was a member of then-Gov. Bill Richardson’s security detail. District Attorney Marco Serna said Tuesday that despite the fact that Fierro had killed a man while driving drunk in the past, the prosecutor’s office was unable to charge Fierro as a repeat DWI offender because the charge he was convicted of in the earlier case — homicide by vehicle — was not technically a DWI. Serna said the prosecutor in the earlier case was able to get the conviction based partly on proving that Fierro had been drunk that night, making his behavior reckless. But Serna said it wouldn’t have made sense to also charge the lesser offense of DWI because the charges would have been merged to prevent creating a double-jeopardy situation where Fierro could potentially have been punished twice for the same act. Serna said he researched case law on the issue and couldn’t find any cases where a district attorney had charged both crimes. After Fierro served his sentence for vehicular homicide, the former lawyer and congressional staffer moved to California. Fierro’s lawyer argued in pretrial motions that the traffic stop wasn’t justified and that Fierro was targeted because of his history. After those motions were denied, Fierro pleaded guilty and Santa Fe County Magistrate David Segura sentenced him to 90 days in jail but suspended all but four days, time Fierro had already served. Fierro appealed the conviction less than a week later, but state District Judge T. Glenn Ellington denied the appeal. Fierro did not appear for Tuesday’s sentencing hearing before Segura. His public defender, Hans Erickson, said an administrative error prevented him from notifying Fierro of the hearing until the last minute, at which point arranging travel from California would have been prohibitively expensive. 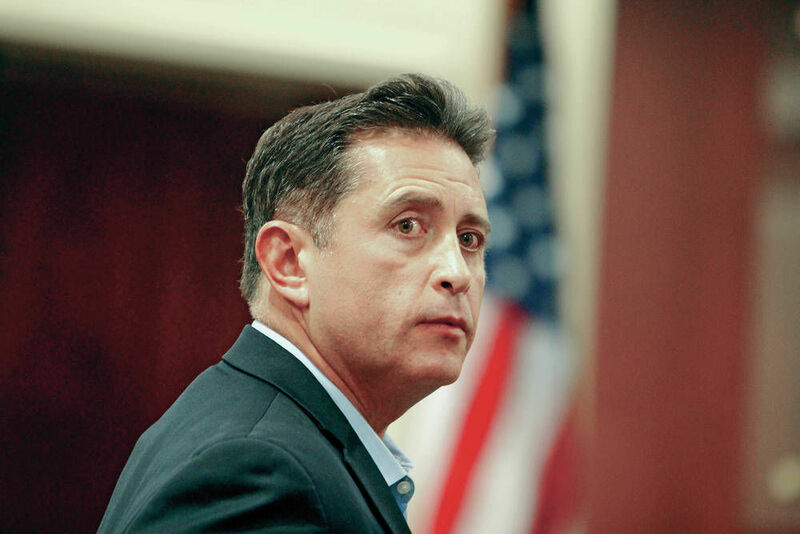 The lawyer asked Segura to continue the case, allow Fierro to appear by phone or waive his appearance and impose the sentence in Fierro’s absence. Assistant District Attorney Ihsan Ahmed opposed allowing Fierro to appear by phone or be sentenced without being present, arguing that “given Mr. Fierro’s history,” it would be in the best interest of the public for him to appear in person to be sentenced. Erikson argued that prosecutors were taking a hard line because of Fierro’s notoriety. Serna disputed that characterization after the hearing, saying that regardless of who the defendant is, it has “much more impact” when guilty defendants hear their disposition and sentence read out by a judge. Segura sided with the defense and imposed the same exact sentence he had pronounced before Fierro’s appeal: 90 days in jail with 86 days suspended, a year of unsupervised probation, 24 hours of community service and installation of an ignition interlock on his vehicle for a year. That sentence is in keeping with penalties for a first-time DWI offense. Richmond-Burton High School football coach Patrick Elder won’t be on the sideline this season after being charged with driving under the influence of alcohol, but for now still has his job as athletic director, school officials said Friday. Superintendent Tom Lind said Elder, 44, was not placed on leave at the McHenry County school after he was arrested and charged with DUI on July 15, but he will not be coaching. Lind declined further comment on Elder’s job status. A Spring Grove police officer spotted Elder’s vehicle swerving and crossing the center line of Illinois Highway 173 just east of Clark Road, according to Spring Grove police Chief Thomas Sanders. The officer reported a strong smell of alcohol on Elder’s breath and said he was slurring his speech and had red eyes. The officer said Elder, a Spring Grove resident, was unable to keep his balance during the field sobriety test and would not to take a breathalyzer test. Elder posted $100 and his driver’s license and bonded out of Spring Grove jail. He is set to appear in McHenry County court Aug. 14. According to local authorities and court records, Elder was convicted of DUI in 1992 and 1995 in downstate McLean County. For the 1995 conviction, he was sentenced to 30 days in jail and 24 months of probation. McHenry County State’s Attorney Patrick Kenneally said a third DUI conviction could bring a penalty ranging from probation to a maximum of seven years in prison. The Illinois secretary of state’s office said Elder’s license will be suspended for a year for not doing the breathalyzer. If he is convicted of DUI, he could lose it for a decade. Lind said Elder has been with the district for 11 years and would have gone through a background check when he was hired. But Lind, who is in his first year as superintendent, said he didn’t know what that check revealed or how the district weighed that information. Richmond-Burton High School is located in Richmond, a town just south of the Wisconsin border. Roscoe D. Cooper III, a member of the Henrico County School Board, was arrested and charged with driving while intoxicated early Saturday. According to Sgt. Stephan Vick with Virginia State Police, Cooper, 43, was stopped just before 1 a.m. on westbound Interstate 64 just west of the Gaskins Road exit. He was then arrested and transported to Henrico County Jail, where he posted bail at 4:30 a.m.
State police declined to release Cooper’s blood alcohol content. Cooper, who represents the Fairfield District, was elected to the board in 2015 after winning a recount by 42 votes. He currently serves as vice chairman of the board. Cooper did not immediately respond to attempts to reach him. A Richmond native, Cooper has been pastor at Rising Mount Zion Baptist Church in Henrico since 2003. He holds a bachelor’s degree in religion and philosophy and a master’s degree in divinity from Virginia Union University, along with a doctorate in divinity from Richmond Virginia Seminary. A hearing date has not yet been set, according to online records. SPRINGFIELD, Mass. (WWLP) – An elderly person is in the hospital after being hit by a car in Springfield Saturday night. Springfield Police Sergeant John Delaney told 22News, police were called to the intersection of State and Oak Streets at 9 p.m. Saturday night for a pedestrian accident. When they arrived, they found a 70-year-old pedestrian who had been hit by a car. The driver sped off after the accident. The victim was taken to Baystate Medical Center with serious injuries to their head and stomach area. Police later found and arrested the driver, who was identified as 47-year-old Clinton Taylor from Springfield. He is being charged with operating under the influence and leaving a pedestrian accident. Massachusetts bars and restaurants are pushing to eliminate a state program that tracks where convicted drunk drivers had their last drinks before being arrested, saying it embarrasses businesses without giving them a chance to defend themselves. Under state law, judges collect “place of last drink” reports from each person convicted of operating under the influence. The reports are used by alcohol regulators and local police to identify establishments that seem to routinely over-serve patrons. But the restaurant industry believes the reports are unreliable and unfair — the information is volunteered by defendants and not verified by authorities, operators complained, and there’s no process for businesses to rebut accusations. Prompted by a story in The Boston Globe in December naming the establishments that have accumulated the most last-drink reports, the restaurant association has asked a state task force considering an overhaul of alcohol laws to recommend that the Legislature eliminate the program.Convened by Treasurer Deborah Goldberg, whose office oversees statewide alcohol enforcement, the task force is expected to unveil suggested policy changes in August. The industry’s stance has alarmed state regulators, local licensing officials, and public health advocates, who argue the last-drink reports deter bars from serving intoxicated customers and help enforcement officers focus their limited resources on those that do. Under the program, last-drink reports are sent from state courts to the ABCC and municipalities. 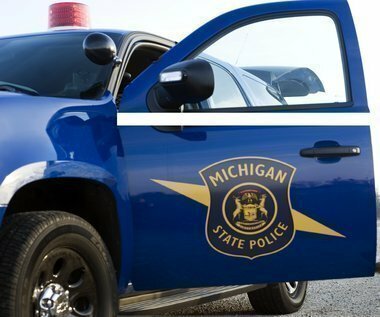 State and local officers can’t use the reports to immediately sanction the named bars and restaurants, but they target repeatedly cited establishments with enforcement stings, which can lead to license suspensions if investigators observe employees pouring drinks for drunk patrons or other violations. Other times, officials simply pressure such bars to retrain their staff on how to serve alcohol responsibly. But restaurants say people convicted of drunken driving frequently misremember or lie in court about where they had their last drink. And even though the reports don’t lead directly to punishment, operators said, municipal licensing boards nonetheless see them as black marks and give bars named by drunk drivers harsher punishments for other, unrelated violations. However, the restaurant association declined to cite examples of bars that were unjustly punished as a result of the reports, saying its members feared officials would retaliate if they complained publicly. And while the last-drink program has been active since the early 2000s, Clark said his group resolved to kill it only after the Globe publicized the data. At the same time it’s pushing to eliminate the last-drink reports, Clark’s group is lobbying to have the state’s longstanding last call pushed back from 2 a.m to 4 a.m., following a recent vote by lawmakers to allow the state’s new casinos to serve that late. The association also wants the state to allow restaurants and bars to accept out-of-state ID cards without assuming additional liability and to give local licensing boards the option to fine businesses for liquor law violations instead of suspending their licenses. Although Clark insisted the issues are separate, public health advocates worry that hampering officers’ ability to identify problematic bars while simultaneously making it easier for more people to drink later into the night would lead to a spike in drunken driving. “I don’t think anybody wants businesses to be falsely accused,” said Amy Turncliff, a neuroscientist and co-chair of the policy and advocacy group MetroWest Substance Abuse Prevention Alliance. “But there has to be accountability, especially if you see repeat infractions. Municipal licensing officials are also wary of eliminating the program. Wayne Brasco, chairman of the Waltham licensing board, said that while individual reports may be suspect, cumulative data from the last-drink program are “an important barometer” for municipal regulators. In 2012, the National Transportation Safety Board recommended that every state adopt a similar policy. Currently, a handful of states have laws mandating the reports, while elsewhere a patchwork of local governments and police departments collect such data. Mahony noted that Toby Keith’s I Love This Bar & Grill — the Foxborough bar that according to the Globe’s December analysis accumulated more recent last-drink reports than any other establishment in Massachusetts — has not been cited in a single arrest since its record was publicized. Barry Birks, vice president of the company that controls Toby Keith’s, said the publicity and ABCC intervention that followed the Globe story prompted an immediate improvement in the restaurant’s practices. He also credited a new program promoting Uber and other ride-hailing services at the Patriot Place complex, where Toby Keith’s is located. He added that revenues at Toby Keith’s are actually up this year, suggesting that the embarrassment caused by last-drink reports doesn’t necessarily hurt business. Regardless, Birks said he still dislikes the system.